← Wordless Wednesday: Badonk-a-donk Tatonka! I used to not be married for a long time. And it was a dark and troubling time when it came to holiday table seating arrangements. Let me also say that I love children. Christmas in my opinion is about children and enjoyed even more through the eyes of said children. Let’s clarify that as other people’s children that I can get up and walk away from once they start filling their diapers with what was formerly the insides of a sippy cup. I grew up in a family that is probably similar to your family. You grow up, get married, have kids, get divorced, get married again and maybe even have some more kids. It’s the American way. I am the oldest child, grandchild, cousin, aka: Built-in free babysitter of both sides of my family. The test pilot if you will. Christmas was filled with my grandparents house filled with cousins, bowls brimming with fudge, delightful food smells, and even soda. Once food was served, it was time to stand for the group prayer led by my late and totally awesome Grandpa and it was time to ingest more carbs soaked in fat than any White Anglo-Saxon family can physically survive without somebody needing a gall bladder removed. We always had the kids table. That square little card table or weather permitting the glass top table on the back porch. While the adults ate at the giant big table in the dining room, we kids sat and ate together like little cro -magnons with total disregard for all that table manners stuff because our parents were too busy passing the gravy 15 feet away to pay us any mind. When you are a kid, the kid’s table rules. When you are a teenager, it becomes a purgatory of teen angst. Picture 1985, teased flock of seagulls bangs, black eyeliner, black turtleneck, black military boots, 400 black bangle bracelets. Hi, I’m Trish, and I killed your red and green Christmas. This murderess of yuletide Joy is shooting Mom pained hate daggers across the room with the hopes she will recognize her wrongs and relieve me from my suffering. No dice for this Madonna-Wanna, I am sentenced to sit at the kids table and talk about He-Man and Skeletor with my cousins until I am married, a parent, or dead, whichever comes first. Each year I kept wishful hoping, is this the year I sit at the big table? Once I graduate High school surely right? College? But I’m a legal adult for the love of pumpkin cheesecake! Hey Guys, it’s getting a little weird being the only person at the kid’s table drinking a glass of wine! I had been left behind. Mine was a looping coming of age story of a Christmas dinner rapture.Younger Cousins who married young had now passed me up to claim their spot at the coveted table of a bottomless platter of delicious dark meat and my mom’s butter-infused (I lost count after 5 sticks) stuffing. Pan to your’s truly sitting at the wobbly legged card table with some middle schoolers and a can of flat root beer. This may have been the exact spot I had trademarked my infamous eye roll between 1980 and 1985. At least at this point the rest of my cousins are at an age where they understand what I have been going through for years. We plotted our solidarity and voiced our wishes for being in control of how many scoops of mashed potatoes we put on our plates and passing on the green bean casserole without the fear of grandma’s wrath. 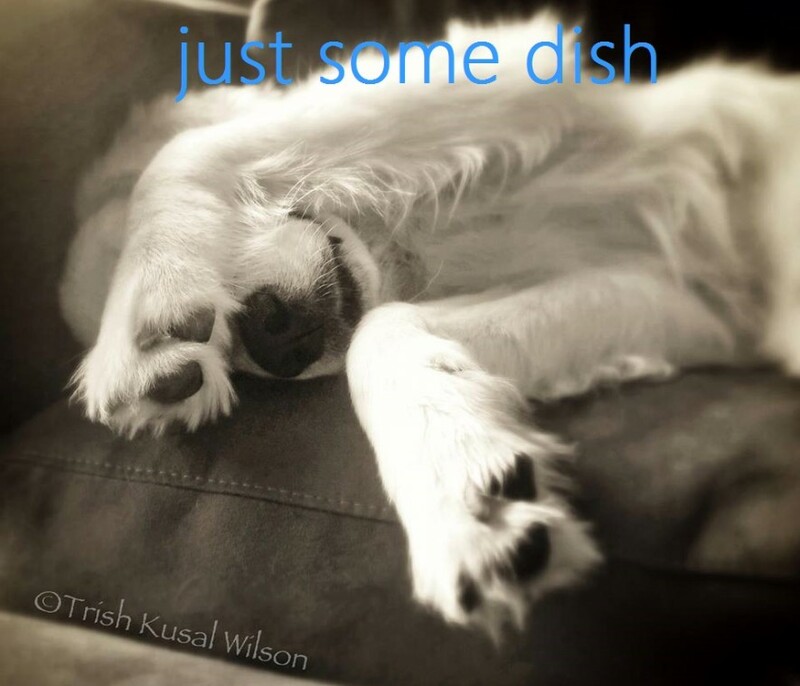 (Green bean casserole is a totally different blog that I just can’t even…*silent gag*…right now). I wish I could tell you that my efforts of breaking the barriers of ageism were successful in getting me to eat a Christmas meal without my knees scraping the bottom of a folding table before I was 30, however, that is just not how this story ends. Sadly, I did not legally couple in the sight of God and the United States Government until I was 32 years old. And only then, was I finally able to join a world I had only dreamed of on so many Christmas’ past. A table filled with a glorious caloric bonanza that would leave me in a food coma that would last until Superbowl Sunday. A world where I could dish and scoop to my hollow leg’s contentment. Nobody eyeing my plate for uneaten creamed vegetables. 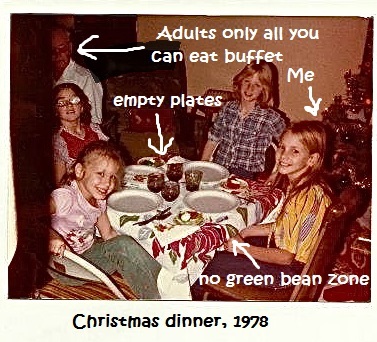 I had finally arrived and was elbow to elbow with the grown ups, passing the gravy and talking about adult things like traffic and home repairs. I was one of them and had been accepted into the tribe. I was complete…and even (do I dare say it?) a little merry. Get married earlier than later so you don’t miss out on the bacon crusted sweet potato souffle because it is soooo worth the cost of a quickie divorce.